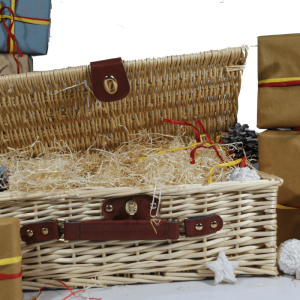 Make your gift extra special with a large wicker hamper and wood wool. 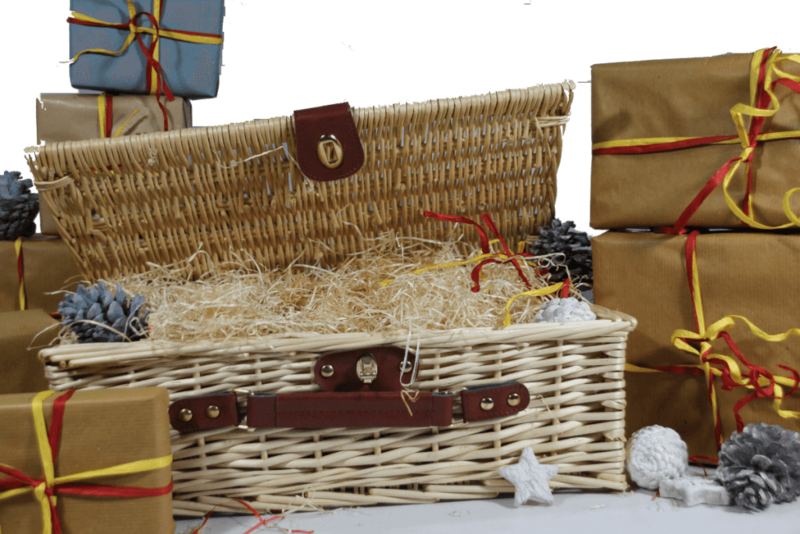 The hamper is gingham lined and complete with straps and handle. 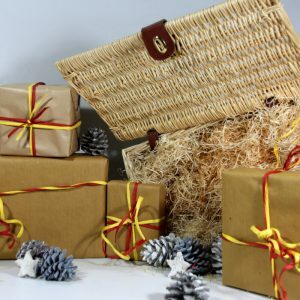 You can also add a gift message to any order under the 'comments section' on the checkout page.